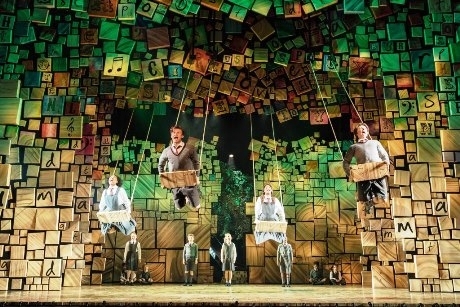 The Royal Shakespeare Company (RSC) has announced six new dates for the UK and Ireland tour of Matilda the Musical, which is accompanied by an education programme. The tour, which began at the start of March, has extended into 2019 with the addition of shows in Plymouth and Edinburgh, plus others. The musical follows the tale of Matilda, a young girl who is constantly overlooked and belittled by her parents and terrifying headmistress, but who uses her unique abilities to fight for what she wants. What educational resources are there? Matilda the Musical will be accompanied by a specially devised education programme, Change My Story, for schools. This RSC education programme has been devised in collaboration with regional theatre partners across the country to support the tour of Matilda the Musical. Theatre partners include the Leicester Curve, Dublin Board Gais Energy Theatre, Sunderland Empire, Milton Keynes Theatre, Birmingham Hippodrome, Manchester Palace, and Cardiff Millennium Centre. Each theatre will create a bespoke programme in collaboration with RSC, suitable for all Key Stages. Primary teachers specifically will be able to book onto a new professional development programme using approaches direct from the rehearsal rooms. These specialist courses will explore how educators can bring Matilda the Musical into the classroom and use it as a springboard for creative writing. There are also workshops available with the musical’s librarian Mrs Phelps and her travelling library that can incorporate musical, written or performance outcomes. To register interest in the education offerings or to find out more about taking your class to see Matilda the Musical, e-mail education@rsc.org.uk. For more information visit uk.matildathemusical.com/tour/schools.